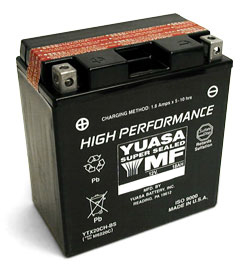 Yuasa High Performance atv batteries are the ultimate in powersports batteries. The High Performance Maintenance Free "YTX" and "YTZ" line of batteries are available for most all applications. The "YTX" series include the acid pack and the "YTZ" series are factory activated and sealed. Don't see your particular application? Send us an email!